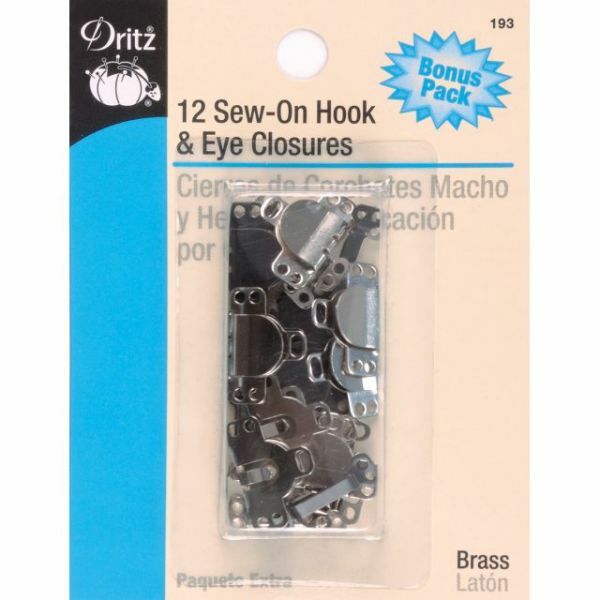 Sew-On Hooks & Eyes - DRITZ-Sew-On Hook & Eye. 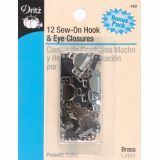 This package contains twelve sets of 1/2in brass hook & eye closures: six black enamel painted and six nickel plated. Imported.